If you're a beauty box fan, you may have already tried MOA's most well known and best-selling product, The Green Balm, but there's more to the brand than just a pot of multipurpose balmy goodness, as you'll soon discover below. 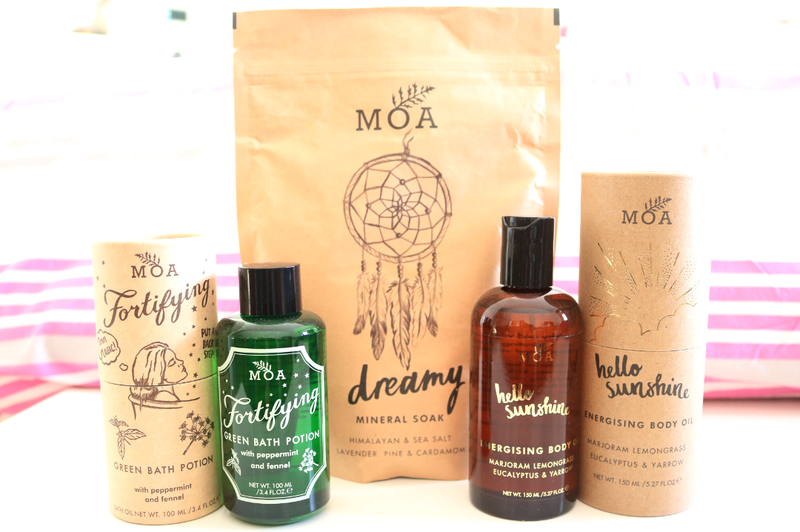 MOA stands for Magic Organic Apothecary and if that's not reason enough to check out this brand, I don't know what is! 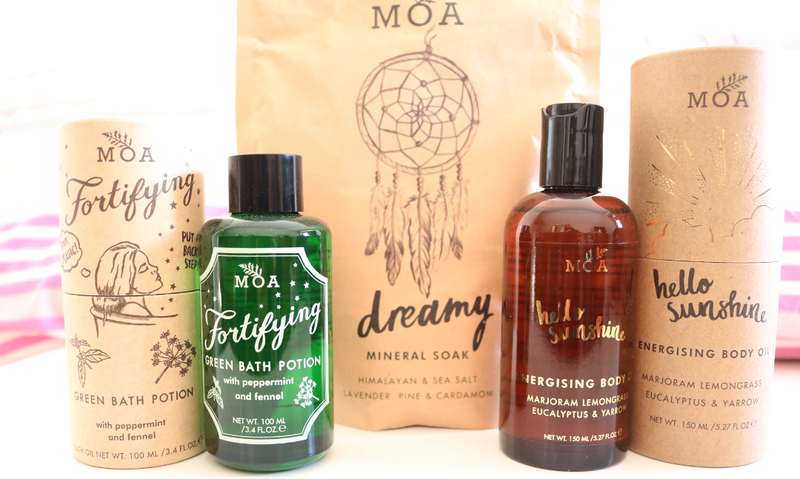 Amongst the cool name, the beautiful packaging, and the 100% natural formulas (everything from MOA is free from parabens, artificial preservatives, perfume, alcohol, SLS and lanolin), there are some gorgeous luxury products to be found throughout MOA's small, but heavenly range. 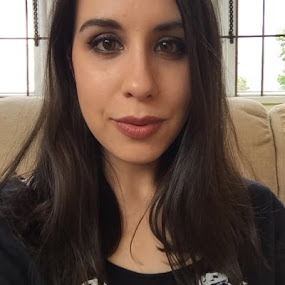 I picked up these three luxury pampering treats online from LoveLula last month, and instantly fell in love with this wonderfully English green beauty brand. The Green Bath Potion has something of a cult following amongst the LoveLula Natural Beauty Club (come join us on Facebook here), and it really is a magical bath potion to help soothe away the day's emotional stresses and physical aches and pains. The key ingredients in this are Peppermint, Fennel, Fir Needle, Yarrow and Sweet Birch, so it smells very minty and herbal which is ideal for clearing the sinuses if you've been suffering from a cold or the flu recently. It's a very potent and concentrated product, and for each bath, you only need to use one or two capfuls (I'd recommend starting off with one at first as it's quite strong if you're not used to it!). Breathe in the aroma and feel uplifted and relaxed within minutes. Bliss! I love a good pampering body oil, and Hello Sunshine is the perfect way to put you in a positive mood for the day thanks to its incredible scent. Packed full of active ingredients, this exquisite blend contains lots of skin nourishing oils such as Sunflower Seed, Rapeseed, Olive and Sesame Seed to moisturise and soften dry skin, whilst Eucalyptus, Marjoram, Lemongrass, Pine and Peppermint essential oils provide a delightfully zesty and slightly woody aroma, to help wake you up and revitalise the senses. A must-try for anyone who enjoys using body oils in the morning. Drift off to a peaceful night's sleep with the help of this Dreamy Mineral Soak for the bath. 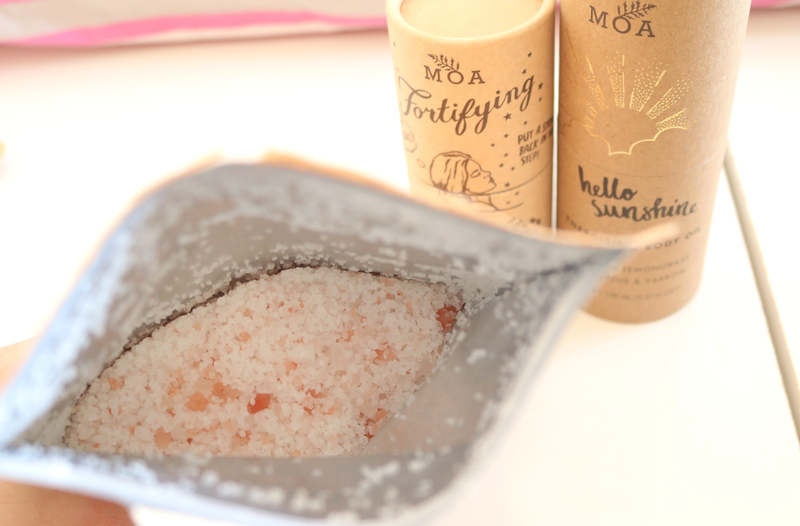 Composed of a base of mineral-rich Himalayan Pink and Sea Salt to draw out toxins, this salt bath also helps to boost your circulation and reduce the appearance of cellulite, whilst the infusion of Lavender, Pine, Lemon Peel and Cardamon essential oils, all promote relaxation of the mind, easing away stress and giving your skin a purifying cleanse at the same time. 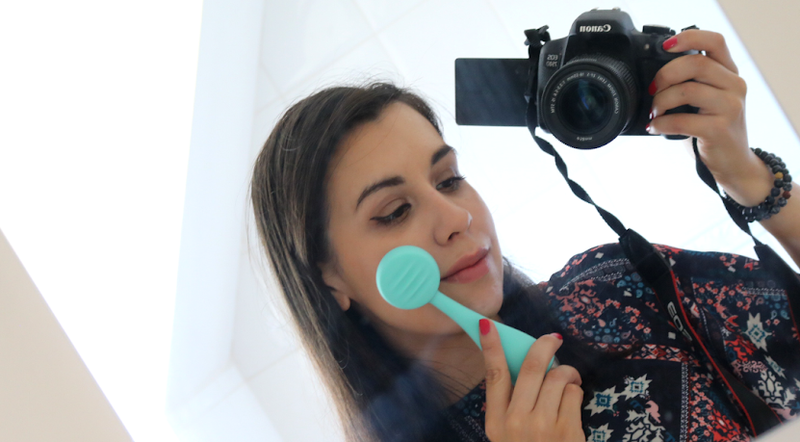 I did notice a little bit of a residue on my skin after using this, but it didn't dry it out or leave me super wrinkly so I wasn't too bothered. I absolutely love the scent of this bath soak and a couple of handfuls is more than enough for a full-on relaxing and pampering experience in the tub. 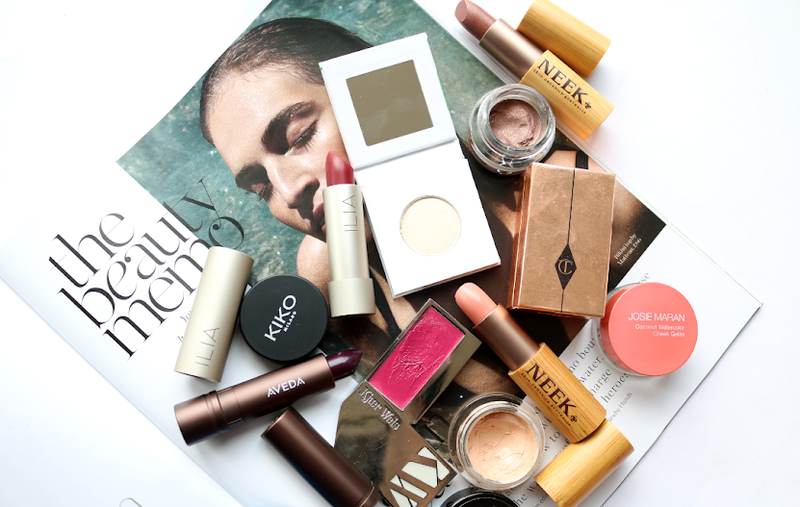 Adore all of these stunning and effective products. All will be re-purchases for sure!